The next chapter in the success story of Mercedes-Benz vans, the new Sprinter and Metris lead the segment in terms of safety while maintaining their proven reputation for hard-working durability. 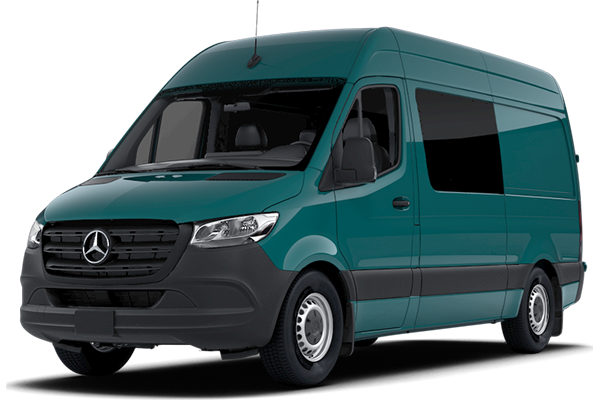 The new Sprinter’s design evolution features a reshaped grille, fenders, and lights, plus a new rear window for improved visibility. As a result of a $500 million investment to build a state-of-the-art facility worthy of assembling the most advanced van in the segment, the new Sprinter is proudly built in the USA in North Charleston, SC. 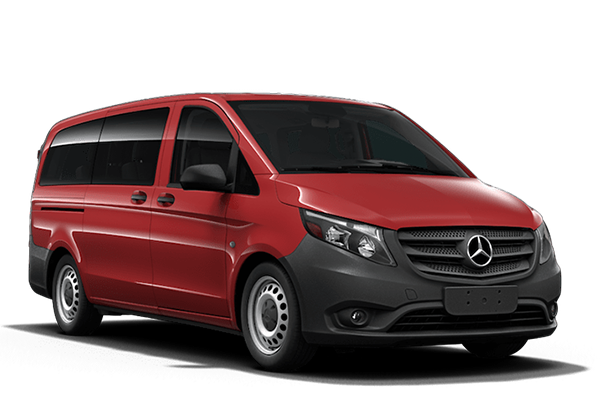 Whether your hauling cargo or passengers, the Mercedes-Benz Metris is powered by a 2.0L 4-cylinder turbocharged gasoline engine that is designed to produce substantial torque at low RPMs. Thanks to its award-winning residual value, the Metris keeps your total cost of ownership low and your productivity high. A Best-in-Class turning diameter and a powerful, cost-efficient drivetrain illustrate how Metris doesn’t waste any effort getting to the job. No matter what your work demands are, the new Sprinter Cargo Van lets you enjoy the flexibility to custom-configure your van to meet your exact needs. From the lighter-duty 1500 to the heavy-hitting 4500 model — the Sprinter Cargo Van offers big-time productivity. 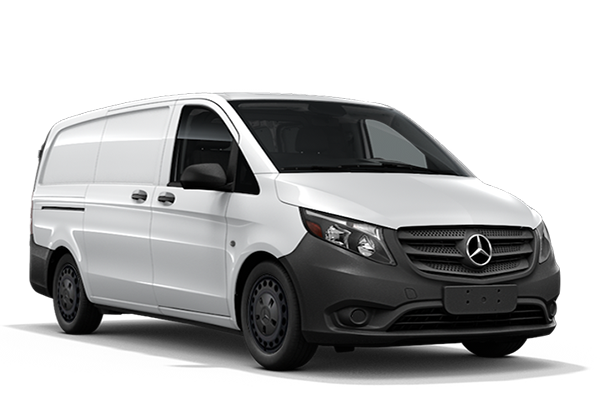 Available in standard or high roofs, 144-inch, 170-inch, and 170-inch extended wheelbases, and your choice of 4-cylinder turbo gasoline or a 6-cylinder turbo diesel engines — the Sprinter Cargo Van is ready to help you accomplish the toughest tasks. 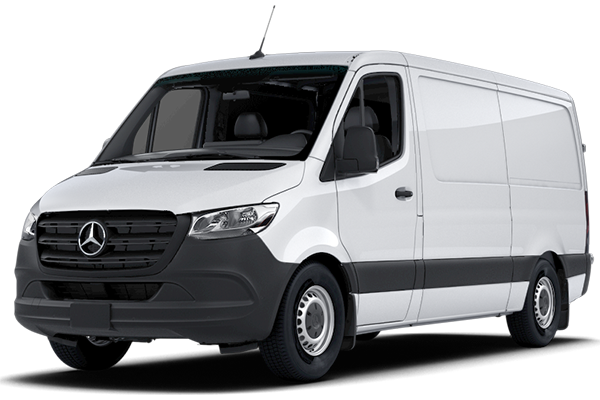 The new Sprinter Cargo Vans are available in 1500, 2500, 3500, 3500XD, and 4500 series. A successful future starts with a strong foundation with the new Sprinter Cab Chassis/Cutaway. Whether it’s a box truck or a technologically advanced RV, its flat unobstructed frame rails let you design virtually anything you’d like. Motivation for your plans comes from the powerful and efficient V6 turbo diesel engine with a 7G-TRONIC Plus 7-speed automatic transmission. 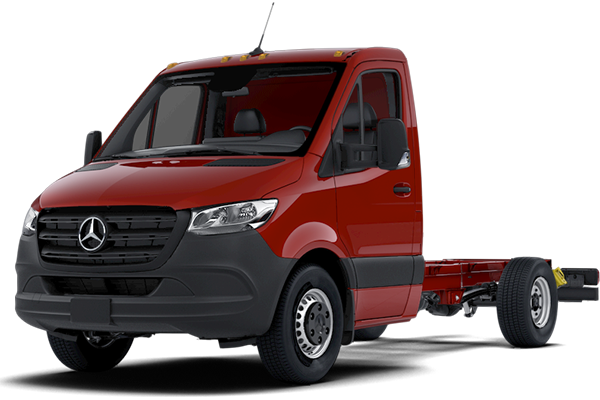 The new Sprinter Cab Chassis/Cutaway Vans are available in 3500XD & 4500 series. The Sprinter Crew Van has room for nearly everything—and everyone. Transport cargo and up to five people with a removable three-seat crew bench that provides the flexibility to bring your workforce along to any job. 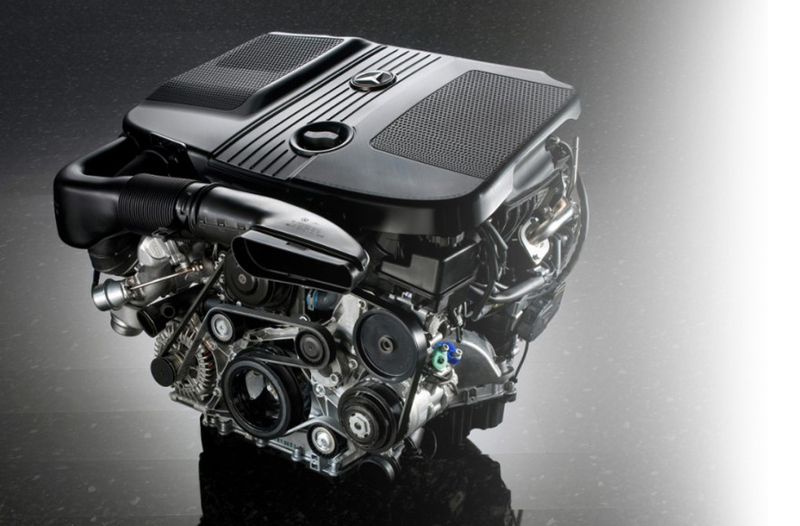 A 4-cylinder turbocharged gasoline engine with a Best-in-Class 9G-TRONIC 9-speed automatic transmission is now standard equipment. 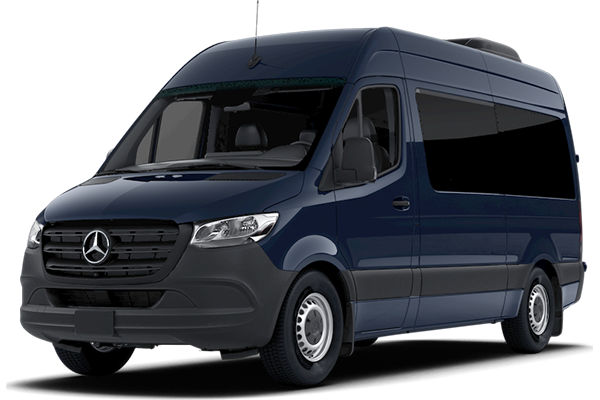 The Sprinter Crew Van is available with a 95.5-inch roof height, either 144-inch or 170-inch wheelbases, and your choice of 2500, 3500, 3500XD, and 4500 series trims. 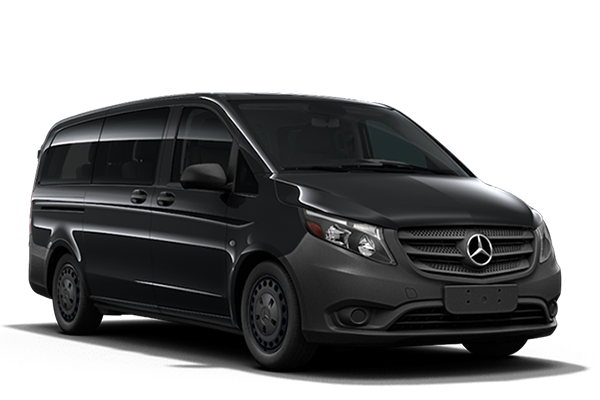 The Mercedes-Benz Sprinter Passenger Van offers transportation with unrivaled style, safety, and innovation. First-class features include room for 15 people, an interior standing height of up to 6 ft. 3 in., a spacious rear storage area, and ergonomic durable rear passenger seating with individual headrests and integrated 3-point seat belts at each seating position. Choose from 12 or 15 passenger seating, 144-inch or 170-inch wheelbases, and 1500 or 2500 series trim levels. Just as focused on the bottom line as your are, Metris WORKER Cargo vans offer a streamlined selection of packages and options to suit your profession. With two optional packages: Convenience and Utility, ordering a Metris WORKER Cargo Van has never been easier. Impressive payload, cargo volume, and horsepower prove that you can get big-time capabilities and affordability in one with the Metris WORKER Cargo van. Since wasted space is wasted money, the Metris Cargo Van utilizes virtually every inch of cargo space to help you stay productive. You’ll feel safe along the way with advanced features like Crosswind Assist, Load-Adaptive Electronic Stability Program (ESP®), and ATTENTION ASSIST®. Choose the standard length to receive up to 183 cubic feet of cargo volume or opt for the long wheelbase for an additional 16 cubic feet. Comfort, safety, and reliability each come standard with the Metris WORKER Passenger Van. You’ll enjoy spacious seating for up to 7 passengers featuring generous leg and shoulder room. To match your individual requirements, the Metris WORKER Passenger Van offers the flexibility of three easy optional packages: Convenience, Appearance, and Comfort. Its standard 2.0L 4-cylinder turbocharged Direct Injection gasoline engine gives you the ability to tow up to an impressive 5,000 pounds. With the ability to seat up to 8 occupants in total comfort, the flexibility of the seating configurations, and optional features like electric sliding doors — the Metris Passenger Van is the perfect solution to passenger transport. Driver and passenger front airbags, side thorax airbags, and window curtain airbags ensure every occupant is protected. 39.6 inches of headroom prove that your passengers won’t just arrive at their destination — they’ll enjoy every mile of the journey inside the Metris Passenger Van. With standard Mercedes PRO Connect, it’s never been easier to keep drivers, managers, and your vehicles in sync to improve productivity and take your business to the next level. Three bundles are available for every connectivity need. 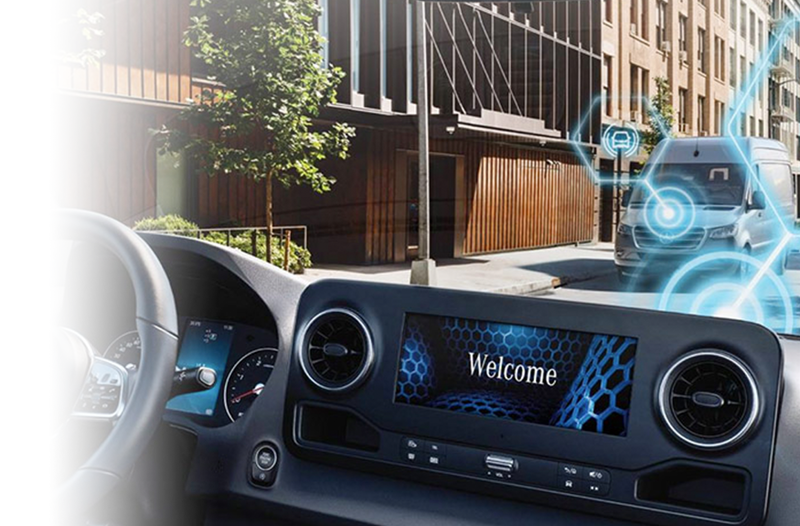 Optional features include Car-to-X Communication, Internet in the Car, Vehicle Data Interface, Maintenance and Repair Management, and Live Traffic Information. Easily access valuable vehicle and job-related information via the Mercedes PRO Connect App. A standard Communication Module is able to promptly transmit data with the permanently installed 4G LTE SIM card. 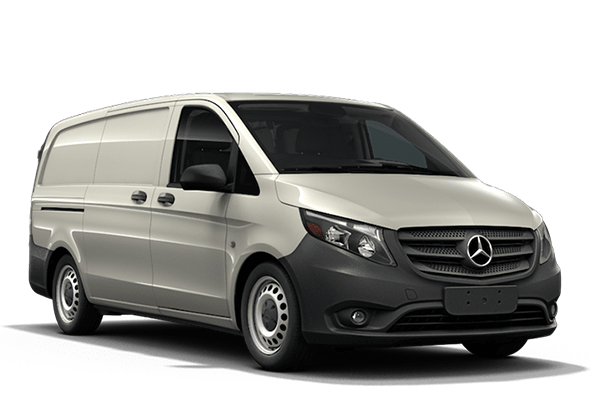 Ensure your Mercedes-Benz Van remains capable of great performance by leaving service and repairs to our authorized Mercedes-Benz Vans service center. With certified technicians trained to utilize the most up-to-date knowledge and technology, our service center can help you achieve the low cost of ownership a Mercedes-Benz Van is known for. Plus, you can rest assured knowing the quality and craftsmanship put into making your vehicle is the same as Mercedes-Benz puts into its genuine parts. 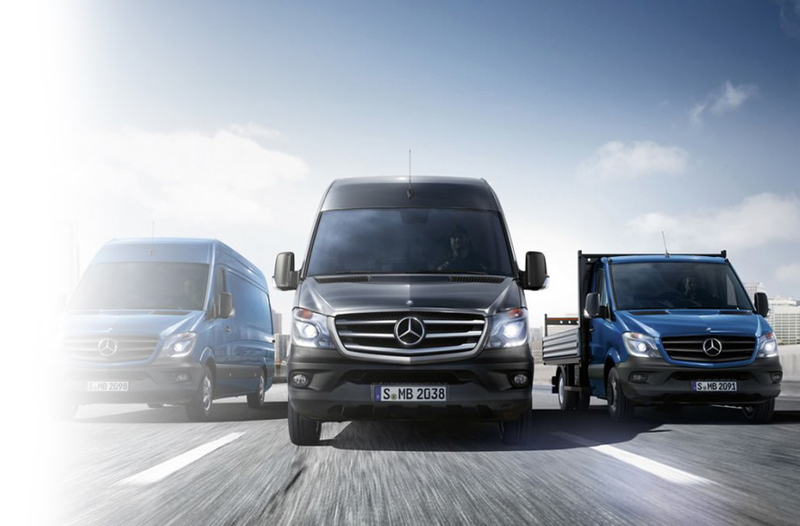 With Certified Pre-Owned Mercedes-Benz Sprinter program, the possibilities remain real. Each one undergoes a 126-point inspection to assess its current condition. It’s then certified and reconditioned to factory specifications by factory-trained technicians. Once up for sale, its entire history is available via a CARFAX Vehicle History Report. We’re so convinced of the potential to take your business places that we back each Certified Pre-Owned Sprinter with a 1 year/72,000 mile standard warranty. For added protection, two Certified Pre-Owned Extended Limited Warranties are available. And to ensure your total satisfaction, we offer a 7-day/500-mile exchange.